This jacket has "I love winter sports" written all over it. Downhill, cross-country or snowshoeing, the versatile Mens Exolight Base Jacket from Jack Wolfskin does it all in style. The synthetic fibre insulation protects you in Arctic temperatures, despite weighing next to nothing. 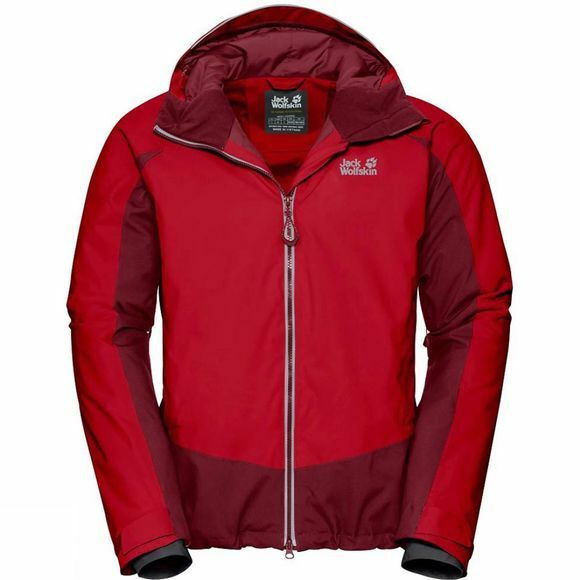 And the outer fabric gives you best-in-class protection from the rain, snow and wind. Developed specifically for action sports, it has multi-directional stretch properties and a pleasantly soft feel. When you're playing hard in the snow, you're obviously going to get warm, so It is equipped with pit zips for a quick blast of fresh air when you're on the move. And of course it also includes a ski pass pocket, a snow skirt and a RECCO chip, plus special docking loops that allow you to connect the jacket to the matching ski pants.